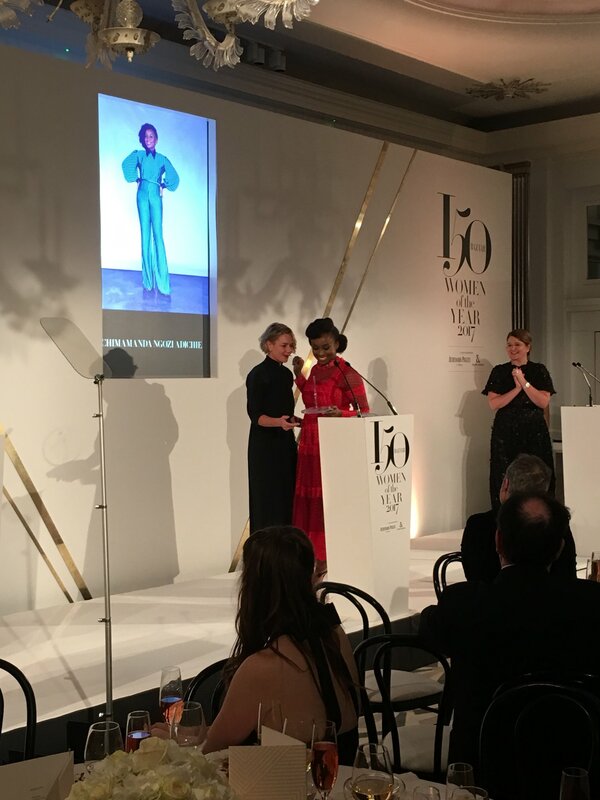 Chimamamda Ngozi Adichie wins Writer of the year at the Harper’s Bazaar Women of the Year Awards 2017. Haper Bazaar celebrates inspirational people every year through their annual awards. Awards are given to women in different fields – writers to actresses, designers to models. These women share a heartfelt commitment and a profound sense of sisterhood – the values that the Bazaar team also holds dear. Adichie’s award presented by Sarah Chalfant. The Nigerian novelist and feminist icon is now as influential in the realms of fashion and music as she is in literature, politics and women’s rights. In August of this year, Adichie’s short story – HOW DID YOU FEEL ABOUT IT? was published in the August Issue of Harper’s Bazaar. It was described by BRITTLE PAPER as being ALL LOVE, CLASS AND MULTICULTURALISM.